Zhavia’s popularity hit the rooftop after she enrolled to take part in the American singing reality show The Four: Battle of Stardom. She gathered a lot of fans as she stood out as one of the favorite contestants and attained huge success on the show, making the audience crave for more of her talent. Zhavia was born as Zhavia Vercetti in Los Angeles, California, United States on March 7, 2001. She is an American by nationality and has her roots with the whites. She built her foundation in music by following the path of her mother Bobbi Jo Black who was a lead singer in her band named Metal. Her educational background has been hidden from the media, however, records have it that she had graduated from high school and is now in college. She also mentioned on Instagram that inasmuch as she wants to do music, she wouldn’t abandon her education. Prior to The Four: Battle of Stardom, she took up mentors in the music world. Zhavia looks up to rappers Wiz Khalifa and Post Malone, but like the R&B king, John Legend, she chose R&B and soul music and she also writes songs. 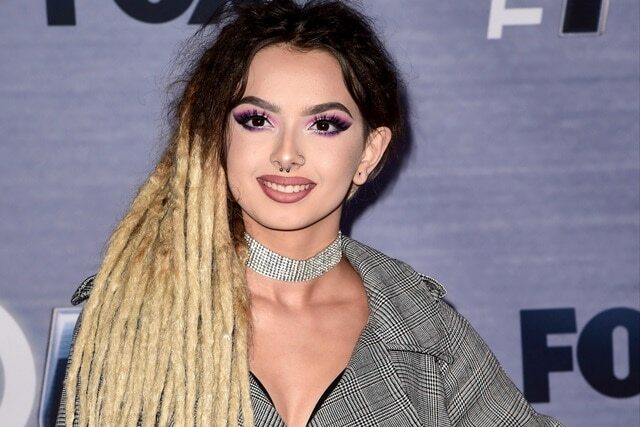 Recently, there have been records of Zhavia claiming Bella Throne as her look-alike, probably because of the piercings Bella has or maybe she looks forward to trading in her kind of music. The young celebrity has released Four songs as of the year 2018. They include Say Something, Unforgettable, Killing Me Softly with His Song and Man down. Republic Records – through Universal music group couldn’t let a wonderful star crawl out on them as they offered Zhavia a contract which she took. The show involves four singers singing and competing on stage where the judges take out the winner for every single stage. The competitors have the opportunity to be groomed by any of the judges backstage. The show was created by Simon Cowell in 2018. During the first series of the show – aired on January 4, 2018, and ended on February 8, 2018, Evvie Mckinney, Candice Boyd, Vincent Cannady were Zhavias’ fellow contestants. Eventually, Evvie emerged as the winner and Candice took the second runner-up. They had Sean Combs, DJ Khaled, Meghan Trainor and Charlie Walk as judges. Though she didn’t win, the competition brought Zhavia to the limelight. Her skills on stage thrilled the judges, especially how strong her voice can be when she performs. Apart from Music, Zhavia has taken interest in photography. She uploads photos taken by her on Instagram. 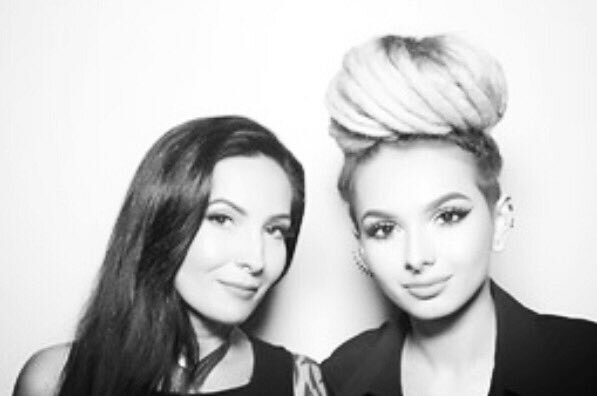 Facts about her family are limited to her mom and one of her sisters as Zhavia has proven to be a private person. Her mother is Bobbi Jo Black. She was a musician who sang with the Metal band but she currently works as a hairstylist. She is an expert in making dreads. Bobbi is divorced from her husband and lives with her relative alongside her children in Los Angeles, California, USA. She has two sisters, one named Poiema Victoria and the other has not been identified. While on Zhavia’s Instagram page she had countlessly mentioned how her sister and mom had been her support through her music career, she also mentioned her desire to buy her mom a house sometime in November 2017 but later supported her in running Her Hot Head Dread Shop. She has never mentioned anything about her Dad, there are little or no records of who he is. Zhavia has been described as beauty with brains. Her charisma and confidence through her days in the singing competition have kept everyone tripping. The young lady is 5ft 3inches tall and weighs about 50kg. She wears a bra size of 32 with 24, 34 and 34 inches for her waist, chest and hip size respectively. Zhavia currently wears a blonde dread. She has dark brown eyes and loves tattoos and piercings. Zhavia just began her journey in the music world and she has already made a name. She grew from the stage and is now signed to a record label. The young talented beauty is worth $700,000 which is expected to grow with time if her talent is anything to go by.